Wang Qiang, vice-president of the University of International Business and Economics (UIBE), led a delegation to visit Russia, Kazakhstan and Uzbekistan from Sept. 24 to Oct. 3, 2018 at the invitation of universities including Baikal State University and Siberian Federal University in Russia, KIMEP University in Kazakhstan and the University of World Economy and Diplomacy in Uzbekistan. Activities included attending the 2018 annual meeting of the Association of Sino-Russian Economic Universities. 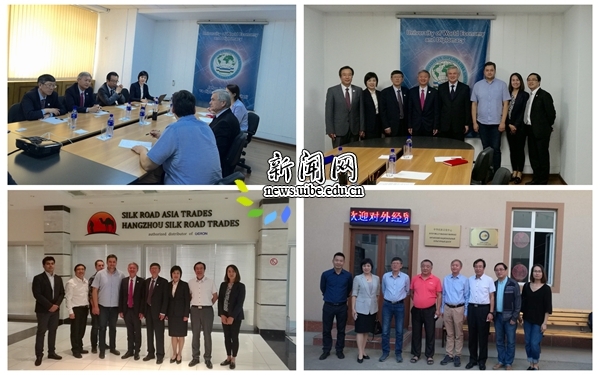 These visits further promoted development of cooperative education projects between UIBE and other foreign universities, strengthened scientific research links with Central Asian countries on the issues related to the "Belt and Road" Initiative, and greatly enhanced UIBE’s influence in universities in Russia and Central Asia. Han Weichun, dean of the International School, Qiu Hongwei, director of the Development Planning Department, Wu Jun, vice director of the Scientific Research Department and Huo Yuan, vice director of the International Relations Office were also part of the delegation. They visited Baikal State University, and met Alexander P. Sukhodolov, rector of the Russian university. The two sides reached consensus on various areas such as student exchanges, strengthening scientific research cooperation and cooperative education projects. Wang with his delegation then participated in the International Baikal Forum 2018 at Baikal State University. He delivered a speech entitled "Interconnectivity of transportation infrastructures: jointly creating prosperity for Europe and Asia." 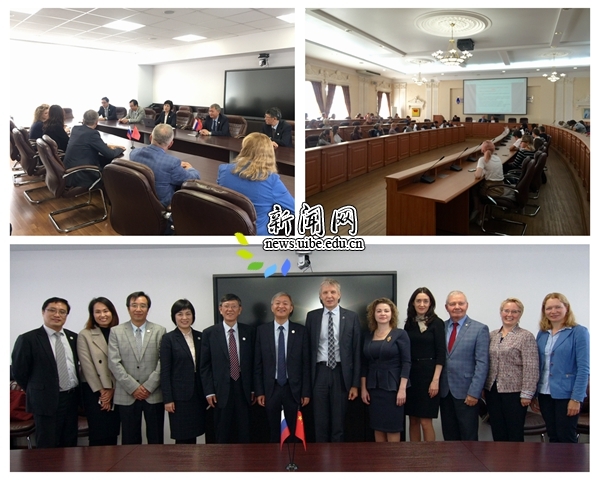 From Sept. 26 to 27, the delegation attended the 6thannual meeting of the Association of Sino-Russian Economic Universities bringing together over 50 representatives from 16 member universities. Wang made a speech on behalf of the Chinese secretariat of the association, saying the annual meeting created a new model of education cooperation between the two countries. During the meeting, UIBE was given the Award for Outstanding Contributions. The delegation visited the KIMEP University in Kazakhstan on Sept. 29. The two sides reached consensus on several issues such as joint talent-cultivation projects after the signing of an MOU, student exchanges, joint research, and jointly organizing international conferences based on their respective advantages.